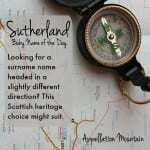 It’s a Scottish heritage choice found on the map, and a surname, too. 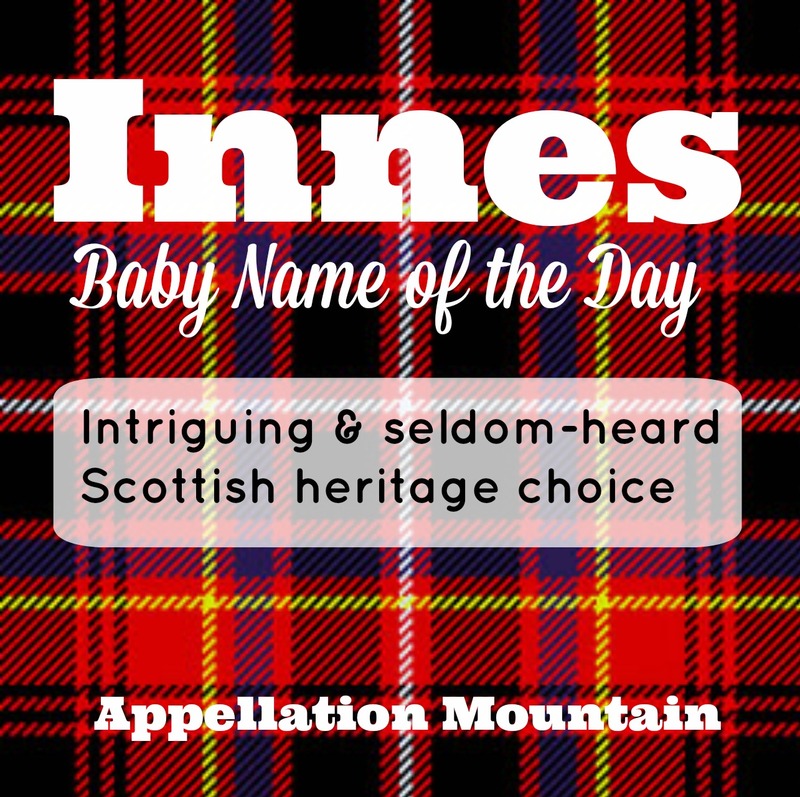 Thanks to Charlotte for suggesting her son’s name as our Baby Name of the Day: Innes. Yes, I’m telling you about a Scottish heritage choice by rhyming with the name with an iconic Irish stout. 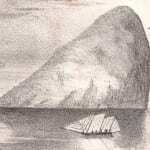 Innes comes from the Gaelic inis – island. The barony of Innes in Moray did include an island formed by two streams running through the property. I can’t find a record of a current Baron Innes, though there is a Clan Innes, complete with tartan. It’s also a Scottish form of Angus, which comes from the words for one and force or strength. It was worn by ancient kings, as well as the Irish equivalent of Cupid. As with any Clan, there’s history aplenty around this name. Legend us tells us that the Flemish knight Berowald was given the land by King Malcolm IV in 1160, for service to the crown. Innes family members distinguished themselves over the centuries. Strictly speaking, there is no chief at the present time. The current Duke of Roxburgh is also the Baronet of Innes, but because his surname is Innes-Ker, he cannot be officially recognized as chief. But there’s much to appreciate about the family’s history. I’m particularly fond of their motto: Be Traist, which translates to Be Faithful. Plenty of notables have answered to Innes as a surname. Edgar Rice Burroughs created the character David Innes for his Pellucidar novels, fantastic stories about miners who burrow into the core of the Earth until the hidden world of Pellucidar is discovered. David finds a world dominated by flying lizards, with a cowering human population. Over the course of the series, David leads a revolt to put the humans in charge, and then defends the new empire from other core-dwelling civilizations. At one point, there’s even a crossover between Burroughs’ most famous character, Tarzan, and the Pellucidar novels. A handful of men and women have worn this one as a first name, too. One of the most notable was Innes Ireland, who made his name as a race car driver in the 1960s. In the US, Innes is virtually unknown. It’s never been given to as many as five children in a single year, While there are a handful in US Census records, I suspect that at least some of those are misspellings – or respellings – of the unrelated name Ines. Nameberry called Scottish names the “most likely to rise” in 2015. If Isla and Duncan are stylish, why not Innes? Boys’ names ending in ‘s’ have been a trendlet for a while, from surname forms like Ames and Brooks to ancients like Julius and Maximus. Innes fits right in. Let’s not forget his status as a place name. Brooklyn and London are mainstream, but any place name with an appealing sound could potentially wear well today. 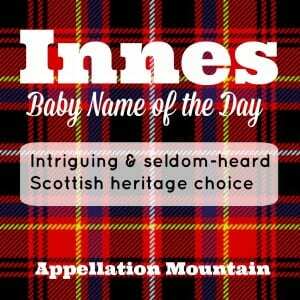 And yet, Innes remains a rarity – a great possibility if this name appears on your family tree, or an intriguing Scottish heritage choice for parents after something decidedly different. This feels bold but not crazy… perhaps a brother to Gordon and Bruce. 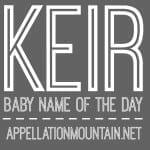 Paired with a Scottish surname, it would be a truly polished stone! An infinitely better explanation for the name’s pronunciation. Thanks, The Mrs.!